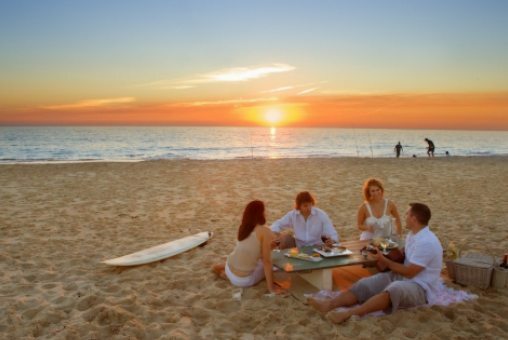 Fifteen minutes or so from the city you’ll find Adelaide’s main tourist beach, but you’ll miss it if you’re looking for the kinds of crowds and activities typical to the shore in Sydney. It’s not deserted by any means, but the atmosphere is more sedate and secluded. Wildlife like seals, dolphins and all manner of fish cavort in the surf within just a few meters of the shoreline. You can swim, snorkel, sun or rent various kinds of floating objects to take you out into the water; or just lounge on the coast and sip a bottle of whatever you prefer. Around the beach proper, you’ll find a wealth of walking and biking trails to take you through the scenery on the other side of the sand. Don’t miss the opportunity for exploration or a little romantic time off the beaten path. Copyright © 2019 AMSA. All Rights Reserved.